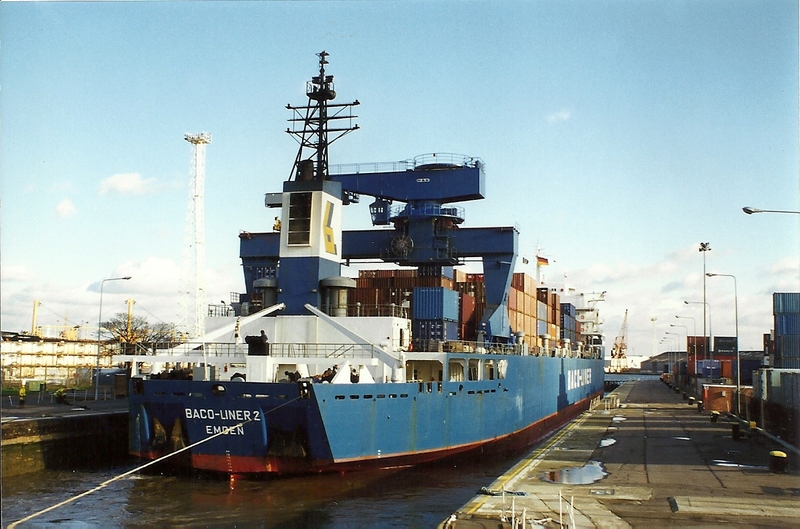 The vessel BACO-LINER 2 in Tilbury Docks. She was built in 1980? 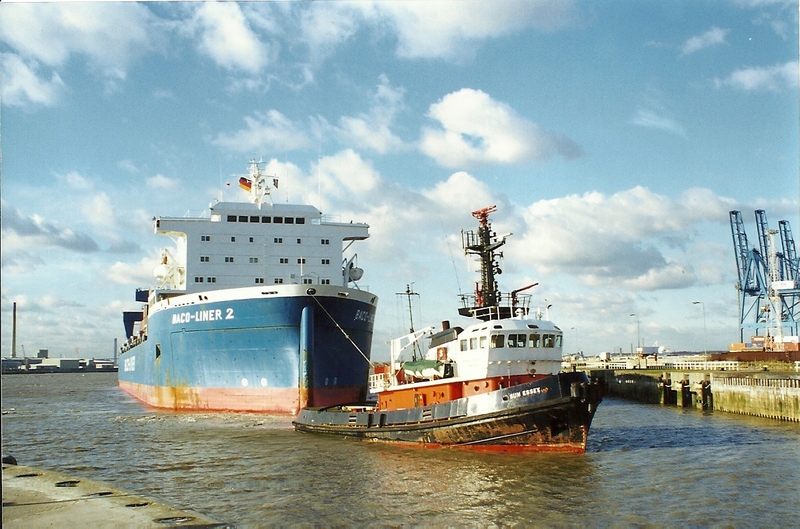 at 22,345 grt as a barge carrier and scrap in 2013?